OnlyBucs Fan Forum - Who would replace Hurdle? OnlyBucs Fan Forum › General Category › OnlyBucs Fan Forum › Who would replace Hurdle? Seems to me that the majority of the board would like to see Hurdle and his management style gone after the season. 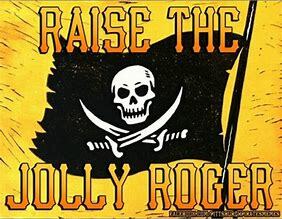 It means the Bucs eating a bunch of salary but hey, with some of the grizzled vets we want to get rid of I think that Nutting might eat what is left on his salary. So the question is: Who do they hire? Should the promote from within? Prince? Cora? One of their MiLB managers? Or do they go outside the organization and find a manager who wants to and plays to win? Do they go with a guy who has little experience? Do they go with a guy who is out of work but has a track record of winning? I don't have the answers but I am sure some of you guys do. The podium is yours. Re: Who would replace Hurdle? I think Tom Prince is the heir apparent but I know nothing about how he would be. I really don't care who it would be as long as it was someone who genuinely prioritizes winning even if that means butting heads with NH at times. Hurdle tries to be the Renaissance Man of managing with his theories on resting players and letting slumping players play everyday in key lineup spots. He does everything except try to win games. And when they get to September and count up the games Hurdle didn't seem interested in winning, it's the difference between being competitive or being out of the race. Hurdle is a nice guy and likeable. But a manager of a team who fails to prioritize winning their games is a terrible manager. Give me a Maddon or a LaRussa any day. I don't think he's really any better or worse than anyone who would replace him. I think all of the energy spent on managerhate could be better spent elsewhere. But I think Tom Prince would do a fine job too. From within, Michael Ryan with Altoona seems like a guy on the rise. Won the FSL championship in 2016 with Bradenton, then won the EL championship in 2017 with Altoona. He must be something right, plus a lot of those players will be graduating to Pittsburgh soon (if not already). Some would prefer a Manager with more fire. We’ve been there before with Lloyd McClendon. How did that work out? Some want a Manager that had won more. (They seem to dismiss the 2013-2015 seasons). We had that before in Jim Tracy. How did that work out? Finally some want a Manager that has worked with the pool of Minor Leaguers that we have been developing. We tried that with John Russell; who I believe was the worst manager in the history of the franchise. The man was a walking zombie for crying out loud. Furthermore Hurdle has to work with the roster NH gives him within the penny pinching budget the Nut Job (Nutting) approves. How many organizations are consistent contenders with a payroll under 100M? A payroll that never reaches the MLB Average. I look beyond the won loss record and see a guy who the players respect. A former fallen star that has had life experiences that he can use to help a players outlook. He has moved to Pittsburgh and is a pillar of the Community being deeply involved in multiple charities and an individual that gives his time generously. This is a type of man that is looked up to and respected. He may not have the status of an Art Rooney or Mario Lemieux but I am proud to have him represent the Pirates. This team which is on a shoe string budget has an excellent starting staff and a solid bullpen. I am excited for this team and think with a couple of impact bats we can be playoff bound. Now is not the time to make the skipper walk the plank! Former Pirate, Jay Bell, who is the manager of the Yanks AA affiliate. I know that players are the ones who hit and pitch and that we need more good players. That said, if you told me that I had only 1 opportunity to make a choice for next year's team, I am at the point of replacing Hurdle as my top choice. The team needs new on-field direction. As much as I like Hurdle and what he has done for the team and the community I think it might be time for him to move on as well. Just who do we hire and where does he come from. Think I might start a thread asking that question. Dusty Baker and Mike Metheny are out there. I don't want Cora or Prince but can't think of any names that are ones I would like to get. I don't like recycled names as managers to be honest. However, I wouldn't be opposed to Matheny. Here is a thought. How about Jay Bell? He has served as a bench coach in the majors, I believe for Arizona. He is now the manager of the AA Yankees. He has been dealing with youth, so ... Plus, he is a guy that understands the market. Girardi sounds as though he knows what he's talking about. That doesn't always translate, though, and you can't count results with the Yankees, where he had a generous checkbook. That aside, I think Hurdle gets blamed for a lot that isn't really his action. I'm pretty sure NH and the analytical people are telling him what to do. They certainly are on players called up, sent down, released, etc. I've wondered if his seeming indifference might not be a reaction to that - it's not his decision so he's not invested in it.